A mango smoothie is one of my family’s favorite type of smoothie because it’s filled with such a sweet fruit. Mangoes are so nutritious, and they have a creaminess about them that works so well in a smoothie recipe. Mango smoothies make a great breakfast smoothie since they’re full of fiber, antioxidants, and Vitamins A & C. This also make them a great metabolism boosting food as well as a potent beauty food. 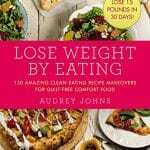 They’re also relatively low in calories, which will help you lose weight, and have even been known to reduce oxidative stress on the body (1,2). Mango smoothie recipes are pretty simple to make. For these mango recipes, try cut up a whole mango into 1 inch cubes, then freeze into 2 cup servings. This way you’ll have the exact amount you need without chopping up a new mango every time. 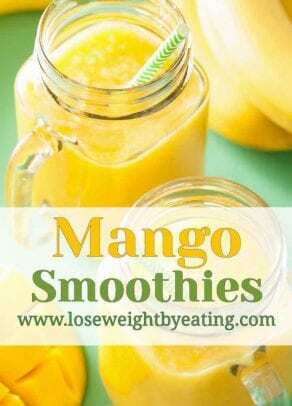 Many grocery stores will also have frozen mangos, this means you can enjoy these mango smoothie recipes all year long! Try to get organic both in frozen and fresh produce if possible. If you’re using fresh mangoes, make sure they are ripe for maximum sweetness and creaminess. I also recommend you serve these mango smoothies quickly since they generally taste best when cold. Special Tip: If you’re serious about mango smoothies, I recommend you check out our list of best smoothie blenders. A good smoothie blender encourages you to drink more smoothies, and the health benefits are worth splurging for. A basic mango smoothie recipe generally contains mango, ice (or milk), and sugar (or ideally honey). It’s very delicious and healthy, and tastes very similar to a slushy. The 13 mango smoothie recipes I provide below have more ingredients to provide a unique and delicious smoothie experience, fruits like strawberries, bananas, pineapple are added to enhance the flavor and nutrition. One of those most popular summer fruits are raspberries. My husband always says they remind him of his grandma’s raspberry garden, where she would pick a big bowl of raspberries before dinner and serve them for dessert with milk and sugar sprinkled on top. This Raspberry Mango Smoothie recipe is perfectly sweet with a delicious tangy kick. It makes the ideal summertime drink. Mango and pineapple go together so well as a tropical tasting drink, and reminds me of sitting by the pool in Hawaii. This Mango Strawberry Smoothie is a very simple recipe to make, and it tastes so good. 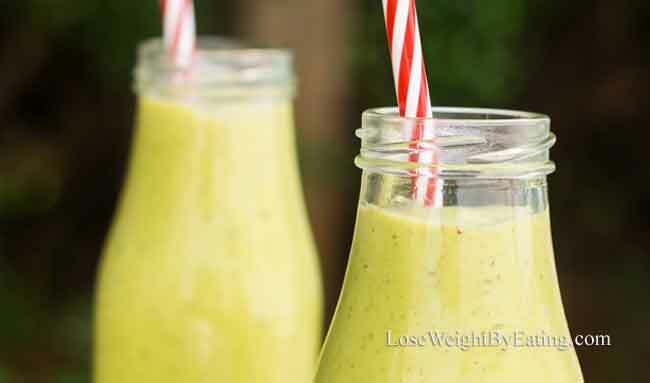 It makes an excellent breakfast smoothie, but can be enjoyed as a snack or dessert as well. Strawberries are an excellent source of vitamin C, manganese, folate and potassium, as well as several other vitamins and minerals. They’re very high in antioxidants and certain plant compounds that have been shown to have heart health benefits, and may even help control blood sugar (8,9). As a kid I loved drinking the sugar packed Orange Julius drinks, but always had to deal with the let down after the huge sugar rush. Orange mango smoothies are just as delicious, but don’t bring the sugar crash. 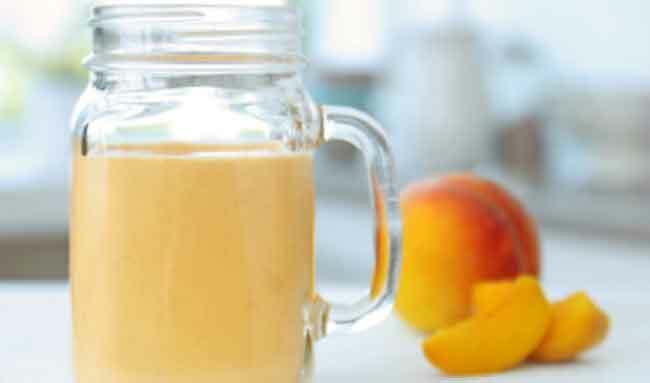 Another summertime classic, peaches are a wonderful fruit to pair with mangoes for this delicious Mango Peach Smoothie recipe. The flavors go together so well, and it makes a perfect drink to cool down with on a hot summer day. Peaches contain a variety of minerals such as calcium, potassium, magnesium, iron, manganese, phosphorous, zinc, and copper. They are also low in calories, contain no saturated fat or cholesterol, and are a good source of fiber (13,14). I often hear, “sorry, Kale chips just aren’t my thing”. It’s frustrating to hear people abandon such an incredibly healthy food for a lack of tasty ways to prepare it. This Kale Mango smoothie recipe is a delicious alternative that won’t sacrifice the healthy benefits. Kale is considered a “super food” that’s packed with nutrients. With just one cup of Kale in your smoothie you’ll get over 134% of the daily recommended amount of Vitamin C and 206% of Vitamin A. This is a nice simple recipe if you’re looking for a smoothie that only includes mangoes and not other fruit. It’s sweet and creamy, and a very refreshing drink. Yogurt is high in protein, calcium, B vitamins and trace minerals. It contains almost every nutrient the body needs and has even been known to help improve digestion (18,19). This is another simple mango smoothie recipe that highlights the delicious taste of mangos. I’ve always loved almond milk. It has a pleasant, nutty flavor and creamy texture that’s similar to regular milk and is naturally rich in several vitamins and minerals, especially vitamin E.
It’s made by blending almonds with water and then straining the mixture to remove the solids. 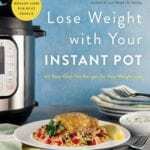 I like to use it in most of my smoothie recipes. I love green smoothies. Not only do they taste good, but they give you an incredible energy boost and they’re an excellent way to get more greens in your diet without having to eat a salad. 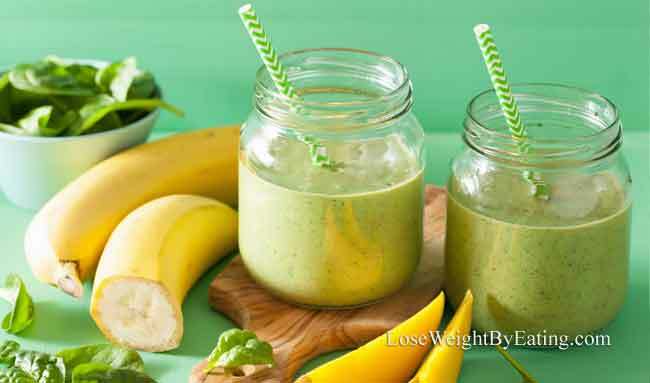 The mango and banana in this Mango Spinach Smoothie recipe do a great job of masking the flavor of the spinach, and provides a delicious tropical flavor. Spinach is a very nutrient rich vegetable. It contains high amounts of iron, vitamin C, vitamin K, folic acid, and calcium (20). This is one of my favorite recipes to have at breakfast.It’s got such a refreshing flavor, and the kiwi pairs perfectly with the mango. Also known as a kiwi fruit, a kiwi is a popular fruit from New Zealand. Kiwis are a good source of lots of vitamins and minerals. They are especially high in vitamin C, and have even more vitamin C than oranges and lemons (21). Silky smooth yumminess is the only way I can explain diving into this tasty Mango Banana Smoothie recipe.Both the banana and mango have a creamy consistency when blended, try this recipe next time you crave a milkshake! Bananas are brimming with potassium, vitamins B6, C and many antioxidant flavonoids. Potassium and flavonoids have been associated with lowering the risk of heart disease (22,23). 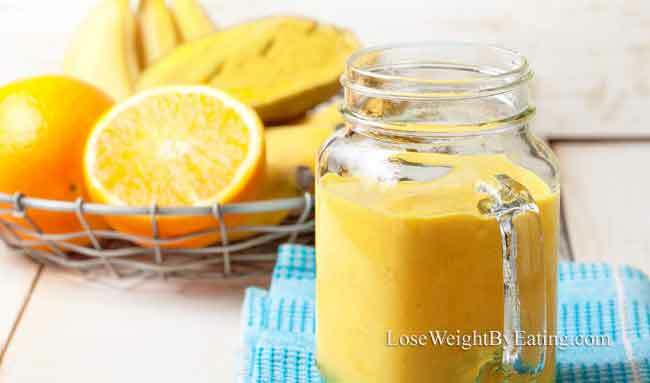 It’s no secret, the more I reach into my smoothie vault and make delicious recipes like this Orange Pineapple Mango Smoothie, the less I reach for processed sugar loaded snacks that only dole out fatigue and guilt. Oranges and Pineapples are loaded with vitamin C, and being deficient in vitamin C has been linked to fatigue and even depression. The plant compound Bromelain, which is only found in pineapples, has exhibited the ability to destroy breast cancer cells (24,25). Mangos are an incredible treat just eating by themselves. When I want to go the extra mile and enjoy mango in liquid form, this mango chia smoothie delivers plenty of nutrition and keeps the integrity of the sweet mango flavor. Chia seeds are high in antioxidants, quality proteins and fiber. 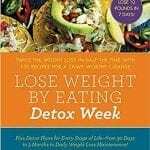 The antioxidants aid in slowing the aging process and nearly all of the carbs are basically fiber and not absorbed during digestion. Along with being one of the most nutritious foods in the world, chia seeds carry enough energy in one tablespoon to supply a person for 24 hours (26,27,28). Mangos are such a delicious sweet treat, and can we just celebrate a little here… they’re actually good for you too! I love it when a delicious treat is also a healthy one! 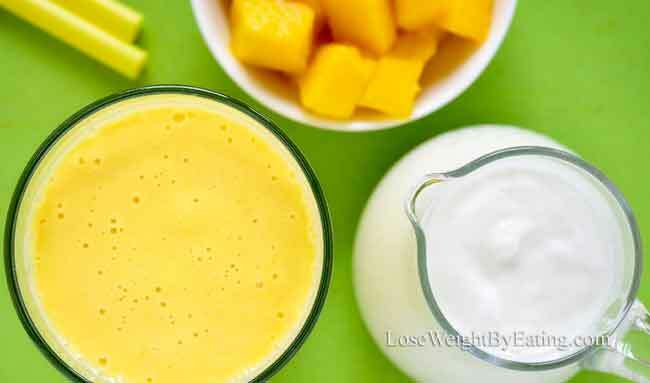 Try working some of these yummy mango smoothies into your diet, have one when you are craving a milkshake or on a hot summer day to cool down. I love to keep bags of organic frozen mango in my freezer year round, nothing beats a fresh mango, but the frozen chunks are great in a pinch, and often you can find them on sale when mangoes are out of season.